Tiffany brings a passion for helping others to her real estate practice. Tiffany views her client relationships as partnerships, with people who are about to make one of the most important decisions of their lifetime. As such, every partnership she enters hinges on the development of trust, confidence and communication. Working tirelessly every step of the way to find the right home, Tiffany is also characteristically patient and calm, and is able to guide her clients through what can be a stressful time in their life. Her fine-tuned attention to detail stems from being around the real estate business most of her life. She inherited an eye for interior design from her mother, an interior decorator, and enjoys the hands-on projects that go into staging a house and preparing it to be buyer friendly. Tiffany's resourceful and creative marketing strategy leverages unique and innovative ways to maximize opportunities for sellers. For buyers, Tiffany's extensive knowledge of the history and property values of Chicago's diverse neighborhoods can help them envision exactly what they™re looking for. Consistently ranked as a top producing real estate agent with @properties, Tiffany has been selling real estate for over 16 years. She is a credentialed member of the Chicago Association of REALTOR's and Top Agent Network. She is a Certified Negation Expert(CNE) and an Accredited Buyers Representative(ABR). Tiffany is an @properties Top Producer, Road to Rolex recipient and was recently featured on HGTV's House Hunters. 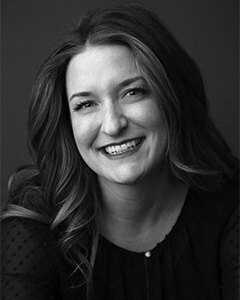 In 2013, Tiffany partnered with Jennifer Johnson to create a dynamic, client-centric business whereby they can more efficiently manage business and cater to her client's needs. Collectively they have sold over $150 million in real estate together throughout Chicago. Tiffany is a graduate of Columbia College with a B.A. in entrepreneurship, sales and marketing and a minor in photography. She enjoys golfing in the summer and snow skiing in the winter. She has been a resident of Bucktown, Ukrainian Village and Lincoln Park since 1994; and currently resides in Bucktown, where she enjoys dining out and spending time with her family and friends. "We couldn't have had such a successful condo searching process without Tiffany. Her and her team have been immensely helpful during our first house buying process. Fast-tracked our decision making process with her deep knowledge of the market and Chicago overall. Highly recommend her!"